accompanied by an exquisite dinner. the fun times rolling throughout the year. from 7 - 9 PM. Soul de Cuba Café has brought authentic Cuban cuisine to downtown Kelowna. We serve traditional Cuban meals, such as ropa vieja and picadillo a la Habanera following grandma's home-made recipe. There is live music on Friday and Saturday nights (check our Events page for more details), breakfast until 2 PM, traditional desserts, and the best Mojitos in town. Our online ordering service is provided by Skip The Dishes company. Ropa Vieja is the most authentic dish across the island of Cuba. The Most Classic of Cuban Dishes! Made from an old Family Recipe (Shredded beef marinated with green bell peppers, onions, garlic, and Caribbean seasoning). 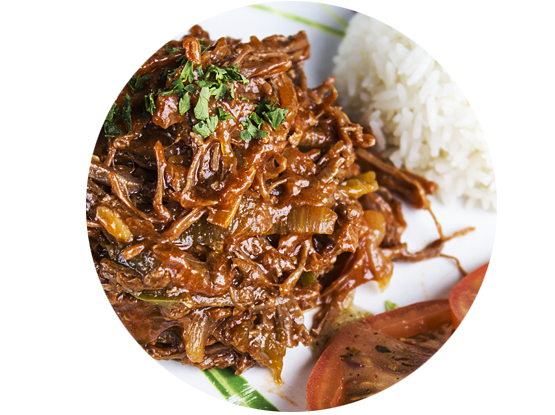 Like many great parts of Cuban culture, ropa vieja started life in Spain. Its name literally translates to 'old clothes' and the story goes that a penniless old man once shredded and cooked his own clothes because he could not afford food for his family. He prayed over the bubbling concoction and a miracle occurred, turning the mixture into a tasty, rich meat stew. 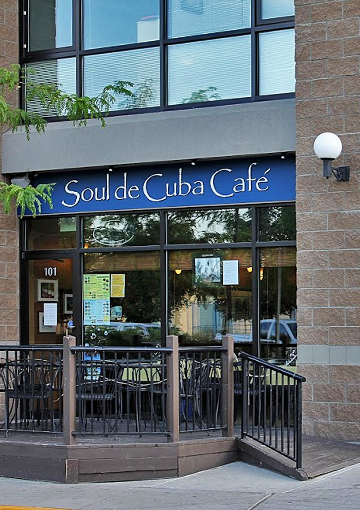 Nestled near the heart of downtown Kelowna and the soul of the cultural district is Soul de Cuba Café, offering up authentic Cuban dishes for breakfast and lunch. Delicious dishes to start your day and the best Mojitos this far north! Start your morning off right with our delicious breakfast. The early bird gets the… bacon. 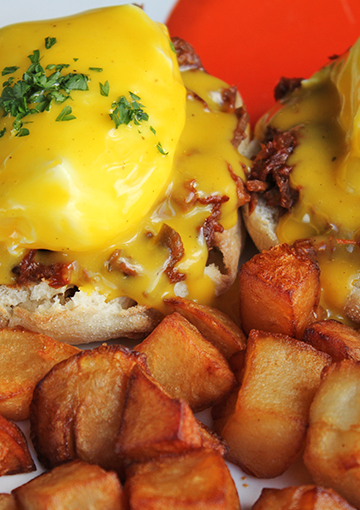 Omelette, Benedict, Mimosa... delicious dishes to start your day. From an assortment of sandwiches and light cuisine for mid day meals to elegant three course meals for dinner (available only during Live Music Night Events).